If time and experience has taught me anything, it’s that skincare is a must and no self-assured man, should ever wear Leather trousers. 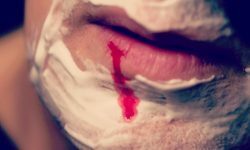 Like it or not, skincare should be an essential step in every man’s daily grooming activities. 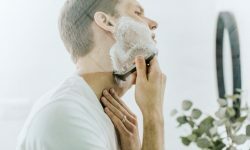 We’re not trying to suggest that every guy should invest in an Acid Peel or a weekly facial, but using some fundamental male grooming products will help you feel better and look better in an instant. I’ve always been reliant on a good quality moisturiser to rescue me from the unkind effects of a late-night and protect me from the elements during everyday adventures. However, in recent times my men’s grooming kit has grown to incorporate some fundamental products which don’t only aim to nourish my skin but tame and tend to my beard. I’m now considered ‘a veteran beard wearer’ in the office, whilst some of the other guys have been trying to grow a beard for the first time (or at least trying, sorry Tom) with little understanding of how to keep their beard looking more Ryan Gosling and less Grizzly Adams. 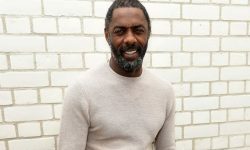 I decided to talk to my friends over at The Great British Grooming Co. and find out which male grooming products make up the perfect grooming kit for a bearded man. 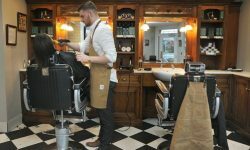 The Great British Grooming Co. is a company which specializes in men’s grooming products forged from the ideologies of traditional barber shops in the UK. 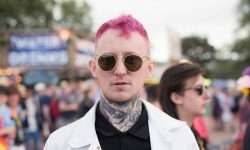 Despite their ethos, their products are made for modern men with manly faces (I think that includes me) and their quick-fix formulations can tame facial hair in a jiffy. So first thing is first! 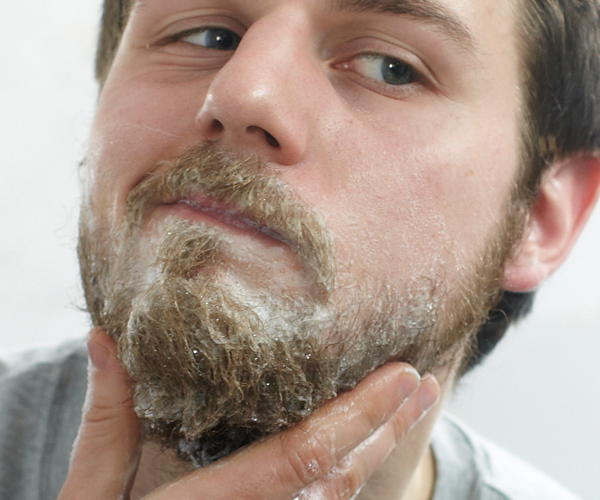 If you’re not a beardy kind of guy, it’s essential to exfoliate your skin if you want to achieve a clean shave. If you do have a beard – an exfoliator can be equally important and helps instantly brighten your skin by buffing away dead skin cells which lead to blemishes, whilst gently resurfacing the skin. I’ve been using this scrub twice a week to detox my pores. 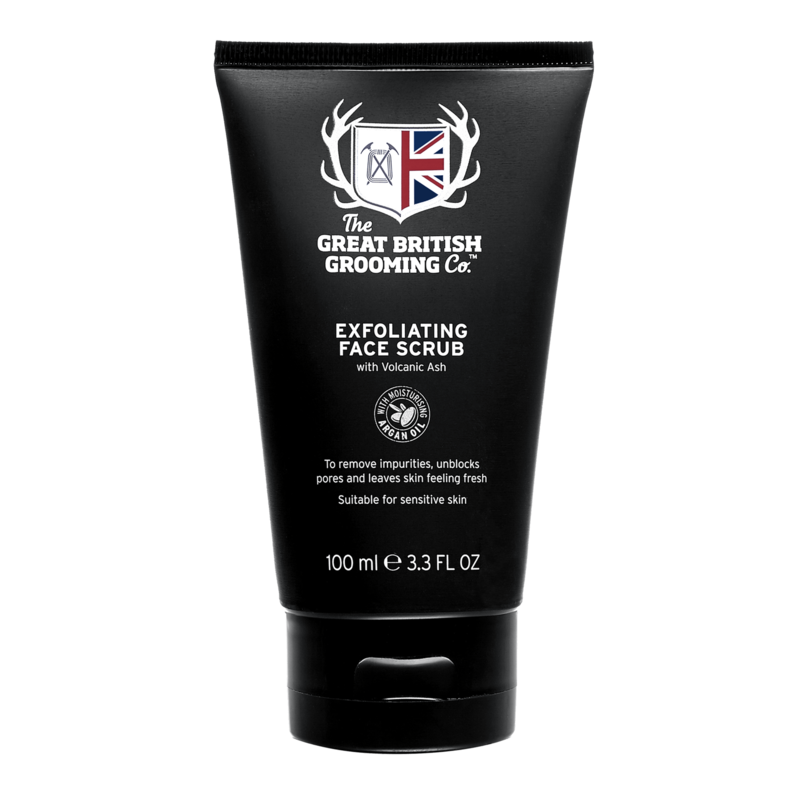 If you have sensitive skin, we suggest you don’t exfoliate more than once a week – so make it count with an energising formulation like The Great British Beard Grooming Co. scrub which contains Volcanic Ash and Black Mint. 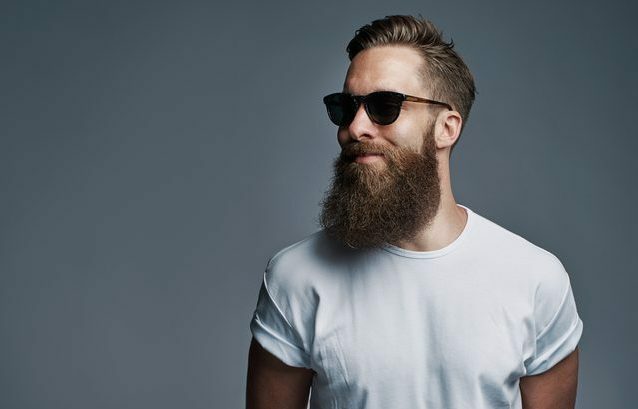 We may have mentioned in our previous post ‘6 Useful Tips For First Time Beard Growers’ that if you have a beard or are hoping to grow one, be prepared to keep it fresh and clean. This beard wash has been formulated by the fellas over at The Great British Grooming Co with a subtle scent of bergamot, fougere, cedarwood, cinnamon and amber which makes it smell a lot more expensive than it actually is. This beard cleaning wash gentle cleanses and freshens the beard and can be used daily to keep your facial hair soft and smelling great. 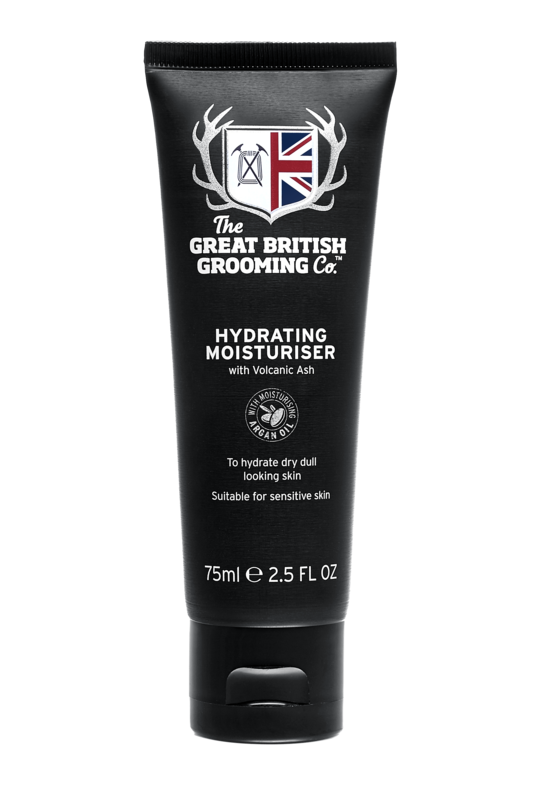 Described by the chaps over at The Great British Grooming Co. as ‘nourishing face fuel’, this hydrating men’s moisturiser will convert, even the most primitive cave man to a solid skincare regime. After showering and cleansing, massage a little of this moisturiser into your skin to smooth, nourish and neutralise red tones. The best thing about this, is it’s light formula which is easily absorbed by the skin to prevent access oil or messy residue. I’ll be honest, up until last year I would have thought that ‘Beard Balm’ was some kind of shoe-gaze, folk band. Today, I am sold on Beard Balm and it’s benefits for improving facial hair growth and grooming a beard. 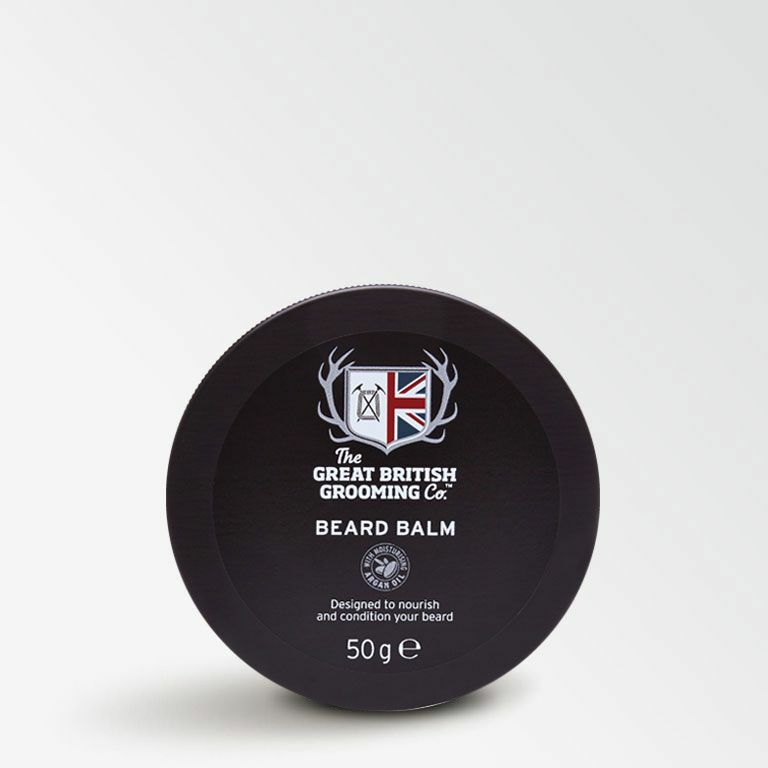 The Great British Grooming Co. developed a Beard Balm to control the most stubborn beards. 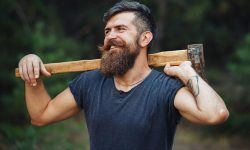 In my last post ‘5 Ways You Can Tame A Wild Beard’ I took a look at some of the most common ways to naturally tame a wild beard, but if you have a wild beard and a men’s grooming kit – Beard Balm should definitely feature. The facial hair experts over at The Great British Grooming Co. told us that this particular Beard Balm contains naturally derived ingredients like Coconut Oil, Shea Butter and Argan Oil to soothe hair follicules and smooth the skin beneath your beard. Just warm a little Beard Balm between your fingers and comb it through to tame stubborn facial hair – our writer, Paddy told us it’s particularly good for stylish moustaches! 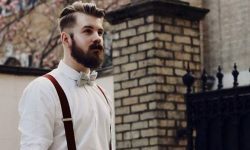 For people like Tom (sorry, again) who have naturally fine or patchy beards and facial hair, a Beard Thickening Serum like the popular Great British Grooming Co. one will work wonders on helping your beard achieve it’s full potential. Enriched with Protein, Keratin and Pro-Vitamin B5 – this clever little Beard Thickening Serum will help you grow a thicker, stronger beard. I’m positive, that every man you have ever seen with a perfectly groomed and covetable beard, probably has an unrefined obsession with Beard Oil. Beard Oil is an essential for a well-groomed and healthy beard. For ultimate beard care, a beard oil is required to nourish, soften, smooth and hydrate dry and lack-lustre facial hair, whilst protecting and moisturising the skin beneath. 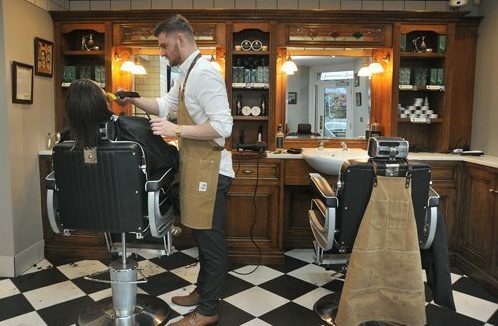 The guys at The Great British Grooming Co. Beard Oil filled us in on their own multi-tasking beard oil which, they explained, can be used directly on damp beard hair for an instant improvement on all beard types. 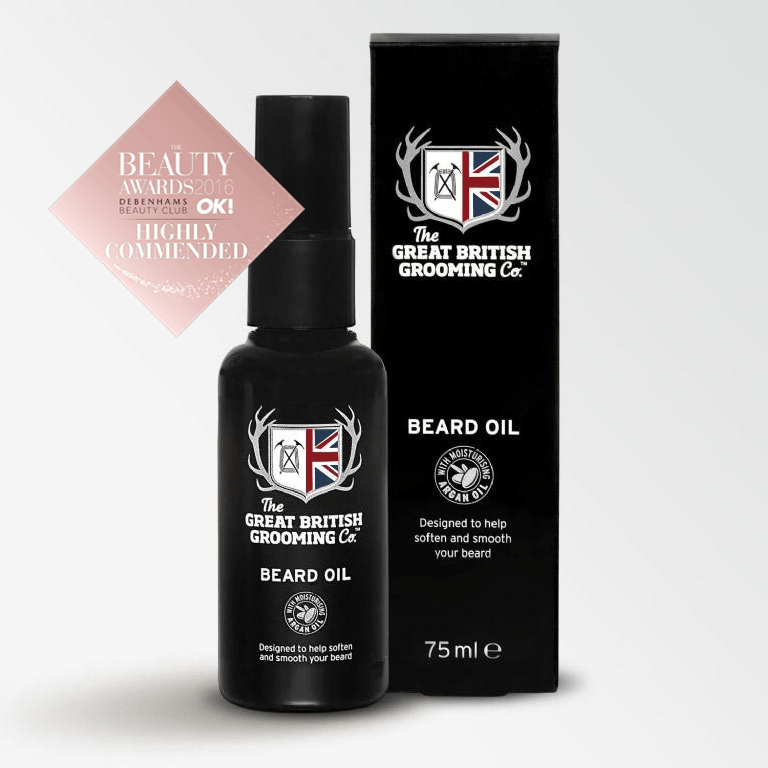 If you’re looking to invest in just one or two products from The Great British Grooming Co. to groom your beard or moustache – we recommend their Beard Oil, which was highly commended as ‘Best New Male Facial Product’ in the 2016 Beauty Awards and the wonderfully refreshing Beard Wash for a clean and healthy beard. 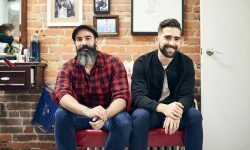 We’ve had such a great time collaborating with the team over at The Great British Grooming Co. and can now, fully appreciate the benefits of a strict (if not always, lengthy) beard maintenance and men’s skincare routine. 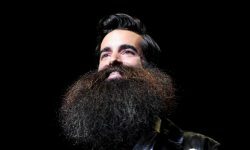 These products don’t break the bank, but certainly make life with a beard much less of a chore. Go take a look at their site and be sure to get in touch if you have any beard or facial hair queries, which we might need to answer. 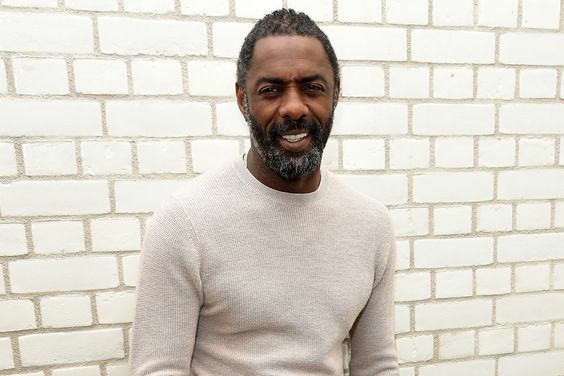 One thing is for sure – unlike leather trousers, well-groomed beards and facial hair is a men’s trend which is here to stay.